Anna has worked at BGM Lawyers her entire career and became one of three partners in 2016. 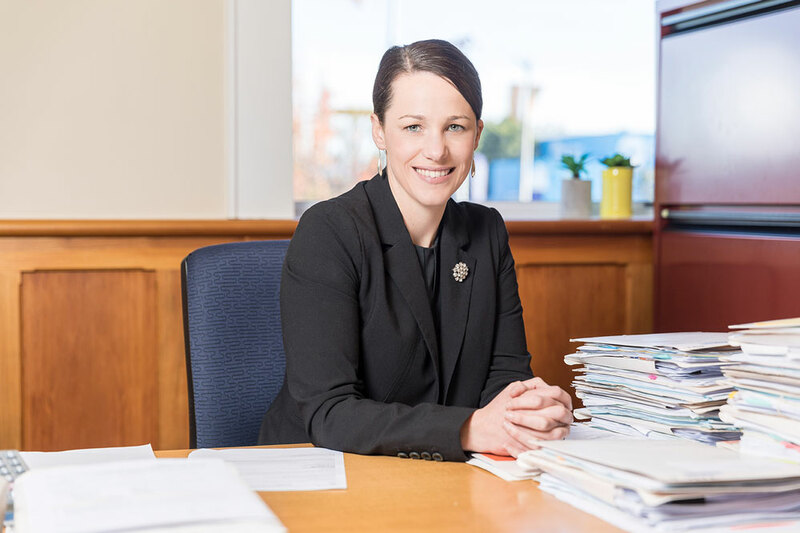 She specialises in child and family law and provides her expertise to clients across North Canterbury and Christchurch. With a small-town upbringing and an approachable and supportive nature, Anna is a perfect match for local clients who are dealing with personal and family matters. She is also a qualified lawyer for the child, ensuring young people’s interests are represented in Court. For Anna, practicing law is a practical way to support people. She often works with clients who are going through difficult situations, including relationship property disputes, care of children proceedings, and those who have experienced domestic violence. Being able to assist her clients to move forward, regain their strength and enter the next phase of their lives is what drives Anna. It’s vital to Anna that she builds a strong rapport with clients, so that she can earn their trust and approach situations with resolution as a first course of action where possible. She aims to bring people together to create solutions. This is equally important across all areas of Anna’s practice, which also includes conveyancing. Her social-sector focus has led Anna to become a trustee of Wellbeing North Canterbury. She is also a busy mum to two young children and enjoys spending time with her family outside of work. Anna has a Bachelor of Laws and a Bachelor of Arts from the University of Canterbury with law and psychology majors.